What a “Nicky Drayden sci-fi novel” is is, for now, solidified with this fine second inning. Set in a land that might be South Africa if you want it to be, this tale of twins, dark magic, African god possession and the horrors of boarding school really takes command after a too-long set-up. Secrets pile and spill, characters switch identities and loyalties and–in what is now Drayden’s style–monsters are shown, from the inside out, as all too human. What is important about Drayden as a novelist is two-fold: first, she seeks to destroy public (gender) identity’s use as a lazy marker of someone’s totality, and second, in this novel particularly, she shows that true balance is achieved by serving every side of imbalance. Definitions built, then crushed. Religion and science at odds, or working in harmony? Waaayy too simple. And Drayden delights in her humorous genre- and character-mashups. Like her first novel, “The Prey of Gods,” this is not your father’s fantasy Africa or Africans, and nor is it meant to be; it is another fully realized narrative from an author who refuses to see and satisfy any pre-supposed expectations or limitations. In the multicultural South Africa of 50 years from now, expertly carved out from the ether by Drayden, a Black American woman, the future belongs to those willing to grasp it with both hands and at least one foot, to feel the fear and evolve anyway. 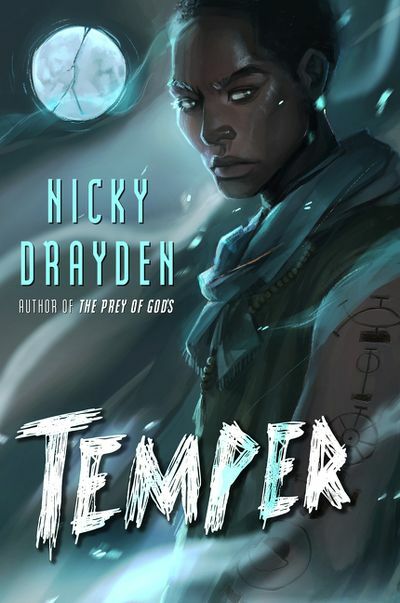 The fact that most of the identity struggles the main characters experience are (now considered) universal does not take anything away from Drayden’s superb skill in making them flesh (and metal, and….). Zulus and walking Ancestral trees mingle with demi-gods and sentient robots, while the pitfalls of both pop celebrity and drug abuse take new, fascinating societal forms. The novel, one that proudly wears its LGBTQIA gender orientation politics as a full body-length tattoo, takes waaayyy too long to get to a loooonng climax, but ultimately satisfies, its last-minute twists turning a well-established (hetero white male), sometimes-dense literary genre into post-modern, not-ashamed-to-be-accessible, post-feminist pop art. When the characters finally interact and transform, the reader happily devours the book’s pop-culture-inspired gumbo. 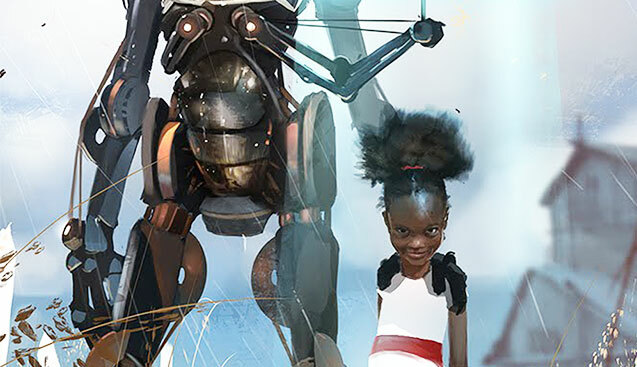 Drayden has written a sci-fi novel that, for the most part, owes neither Isaac Asimov nor Octavia Butler; it’s a new product for the 21st century fan who wants and needs a fun, culture-based read.